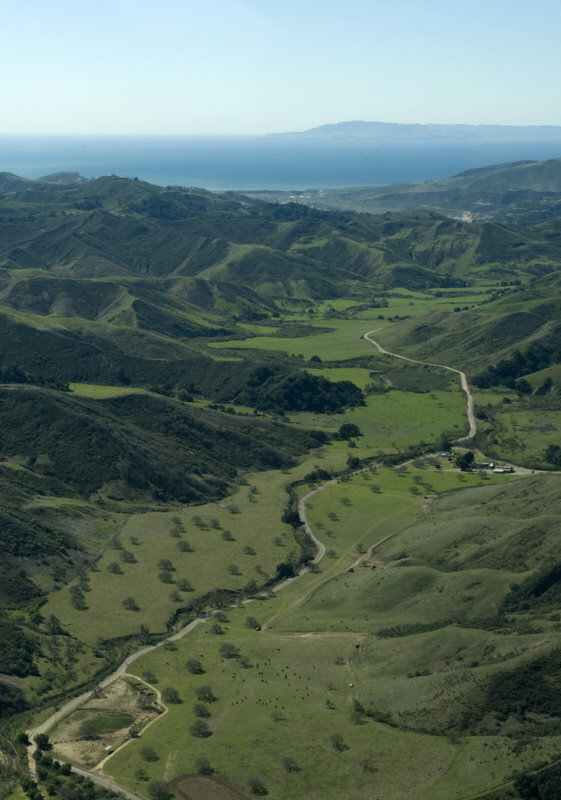 On Tuesday April 26, the Ventura County board of Supervisors approved the environmental document for the San Antonio Creek Spreading Grounds project. Although the project has broad support from the water agencies, the resource agencies (NOAA and DFG) have filed letters on the project. NOAA filed a protest to the State Water Board. At issue is whether appropriation of surface water will affect endangered steelhead and it's habitat. The final MND environmental document includes these graphs that illustrate the quantity of water that will be diverted into the spreading basins for infiltration and injection into the groundwater basin. Surface flow diversion would be a passive system, designed such that water levels at the intake structure would dictate the timing and amount of the diversion. 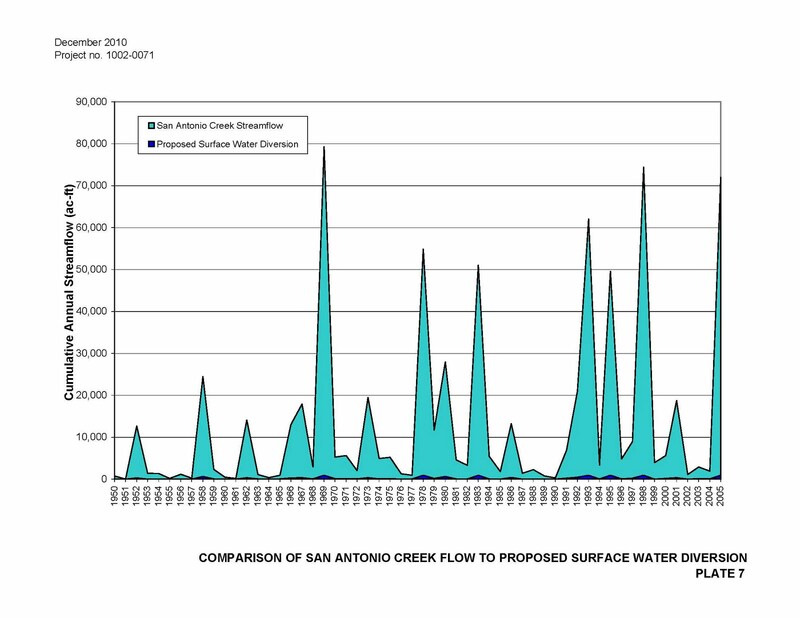 Therefore, the volume of water diverted would increase as the water level in the creek rises, and decrease as water levels decline. 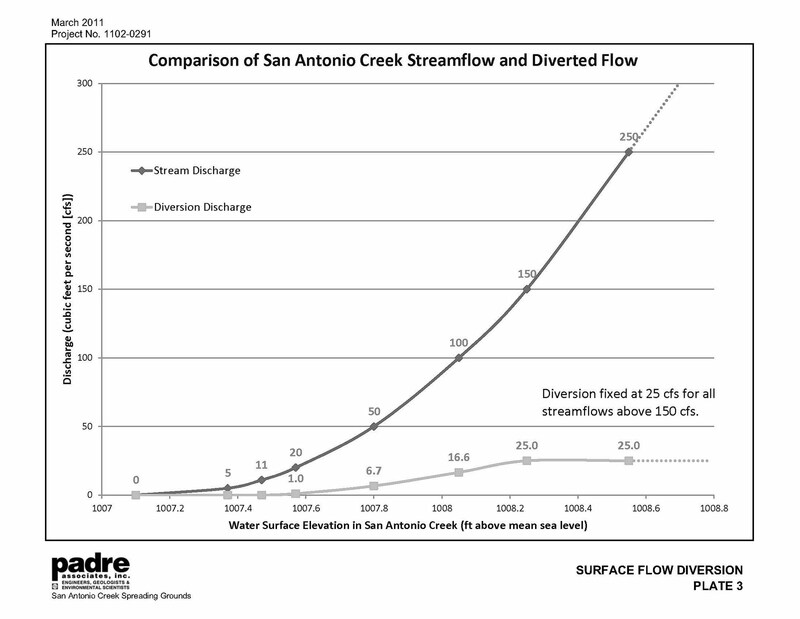 Table 1 provides proposed surface water diversion rates based on the design of the system and placement of the intake structure in San Antonio Creek. 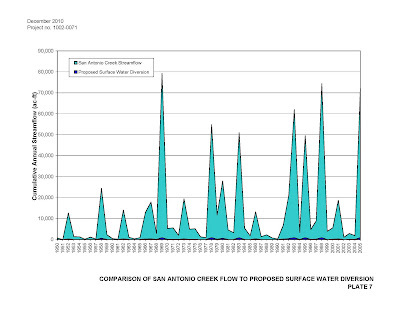 Surface flow in San Antonio Creek would need to be 150 cfs for the proposed facility to operate at capacity (25 cfs). A graph of the designed relationship between surface flow rate and diversion rate is provided as Plate 3. 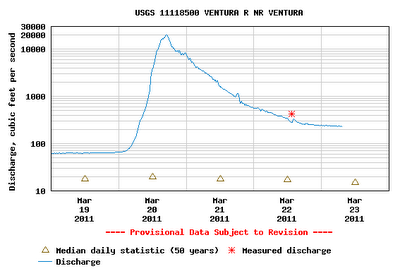 Real time operational changes to terminate diversion when minimum flows are reached should not be necessary. Compliance with minimum flows (11 cfs at the point of diversion, 5 cfs at Grand Avenue) would be enforced by the State Water Resources Control Board through monitoring and reporting by the District. The project still requires additional permits before construction can begin, currently scheduled for Fall 2011. COMMENTS: I testified to the Board that they should delay the approval of the environmental document until the water rights issue is worked out. I also said that without a watershed plan, or even a water budget, it is unclear how much benefit or impact this project would have on a watershed scale. 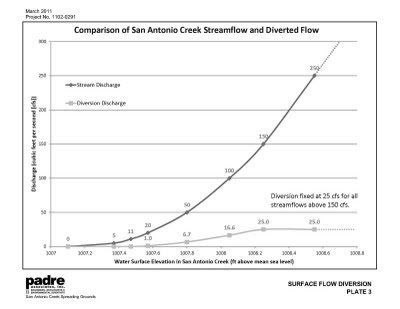 If such a plan was in place, along with conjunctive use agreements for surface water/groundwater management, the resource agencies could be assured that in-stream flows would be maintained and/or enhanced with projects like this. 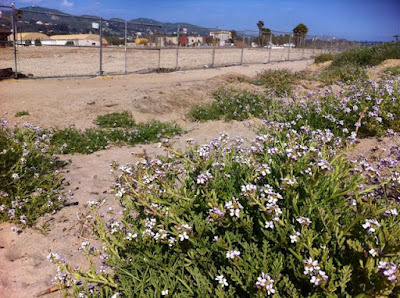 Thanks to everyone who dedicated their time and energy to help protect the Ventura River watershed since this issue came up last year! After hearing speakers for more than three hours, the council spent 30 minutes debating the details of the Westside plan. On a motion from Councilman Karl Morehouse, the council directed Community Development Director Jeff Lambert to work with the planning and design committees to include community comments to prioritize parks, housing for active seniors and local shopping. ...Even Bonsall, who represents the family who owns the Cañada Larga property, ultimately told the council that they should forego annexation and development at this time in favor of the long-promised plan. On March 22, 2011, a small group from the Ventura River Stream Team took advantage of spring flows in the Ventura River. The group has been talking about running the river for years, waiting for an opportunity with adequate flows to safely navigate downstream. 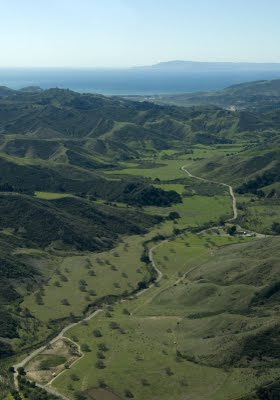 The original intent was to put in at the Ventura River Preserve and float the river all the way out to sea. But upon arriving at the Hwy 150 bridge, a couple of miles downstream from the trailhead, it was clear that it would be tough to navigate the rocky river. 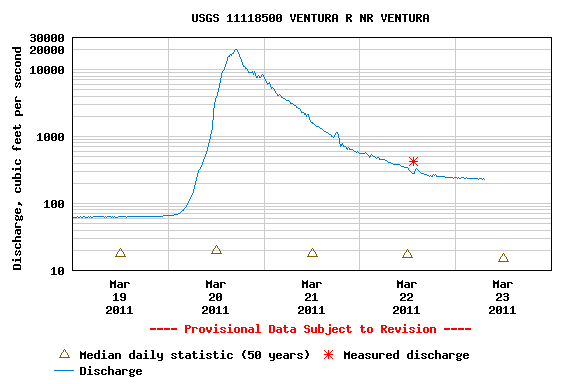 Although there was over 700 cfs flowing from the Matilija Creek confluence upstream, most of this water was being directed over to Lake Casitas at the Robles Diversion. 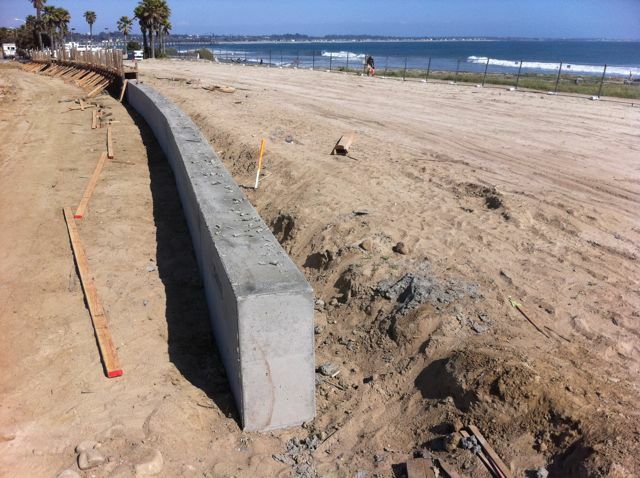 The group ended up putting in at Santa Ana Rd, where the channel is a bit narrower. Flows were still a bit low, and there was some 'pushing' involved to get through the shallow spots. Upon reaching the San Antonio Creek confluence things got more interesting. In some locations it was difficult to navigate through the willows, but the group made it to Foster Park. 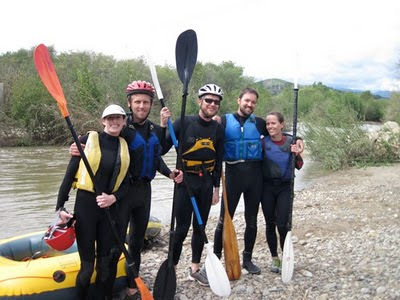 A smaller group decided to continue on downstream, and made it all the way to the ocean. The USGS surveyors were out that day and measured flow at Foster Park to be around 400 cfs, as noted by the red dot on the hydrograph. 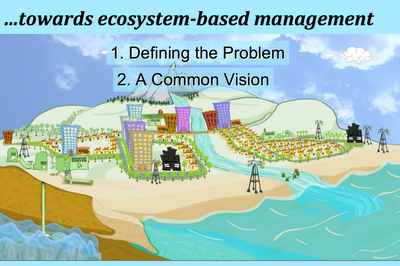 My presentation included an overview of the Ventura River Watershed and the ongoing efforts toward 'Ecosystem-based Management.' The multi-media presentation included the trailers for Watershed Revolution and Cycle of Insanity, as well as documentation of recent progress at Surfers' Point. I also presented Monitoring Trends in Abundance and Distribution of Steelhead Above and Below Matilija Dam, Ventura, California, an update from the presentation I gave at Watershed U last year. In addition, the half hour film "Watershed Revolution" showed during the movie night and social event on Thursday, and our poster, "Removing Matilija Dam," was presented during the Friday night poster session. In all, the Ventura River was well represented at this annual gathering of fisheries and watershed restoration practitioners from around the state. 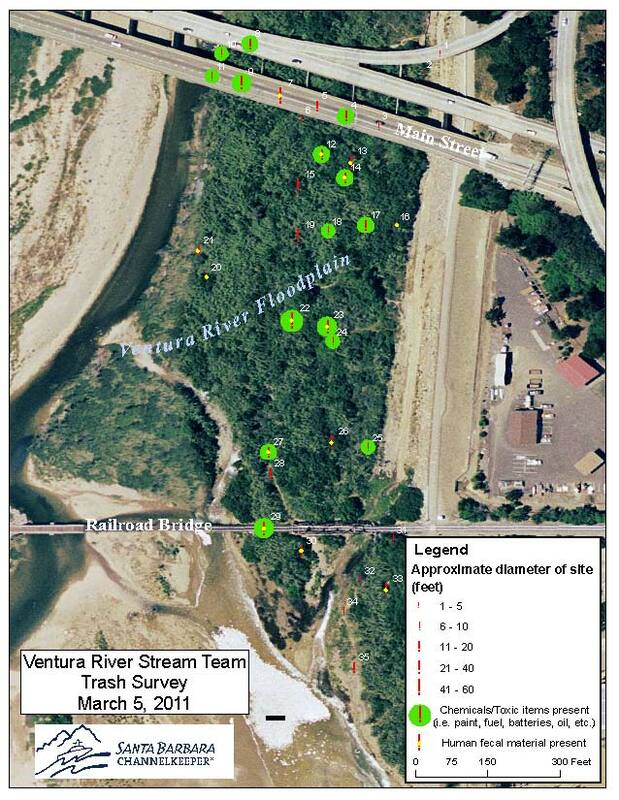 On March 5th 2011, Ventura River Stream Team volunteers spent a Saturday morning mapping trash in the Ventura River estuary. The estimated 200 people living in the river-bottom generate a tremendous amount of waste - both 'trash' and human waste. 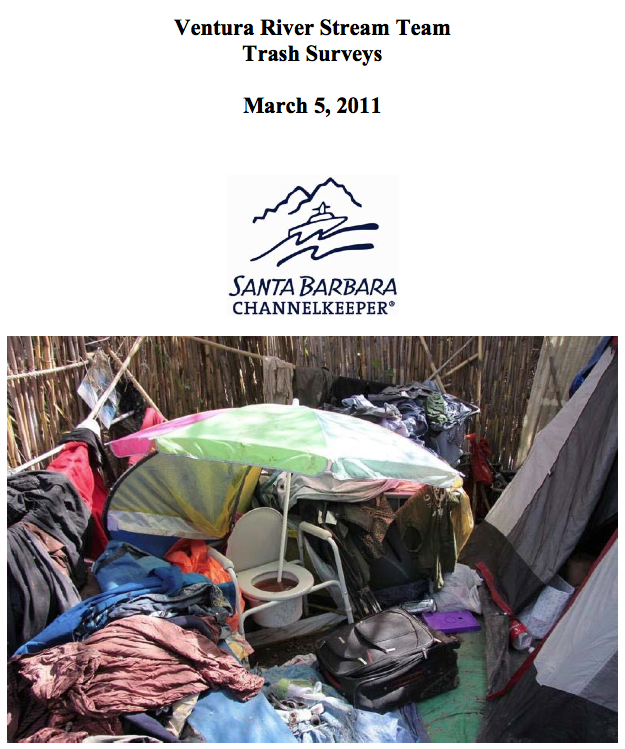 On April 5, 2011, Santa Barbara ChannelKeeper sent a letter to the City of Ventura and responsible agencies documenting the results. 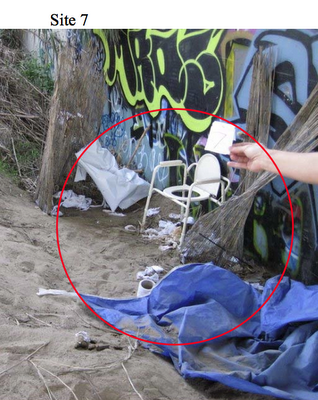 During this event, thirteen volunteers inspected public lands on the eastern floodplain of the Ventura River from the Highway 101 bridge to the Pacific Ocean. Over the course of only two hours, volunteers located and documented over 35 dump sites containing human waste, garbage, chemicals, and active and abandoned campsites. Channelkee per has compiled the results of this survey in a photographic report that is available on our website (www.sbck.org) . Most of the waste identified during our survey has accumulated since the same area was targeted by City cleanup efforts last August. In fact, according to the City of Ventura, over 55 tons of garbage have already been removed from the Ventura River over the past three years. 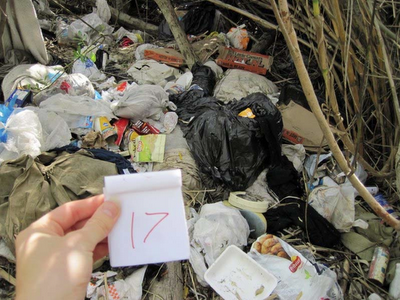 As our report demonstrates, however, waste continues to be generated at an alarming rate. We note that the condition of these sites has likely changed dramatically since these observations were recorded. On the weekend of March 19th and 20th, a significant rainfall event occurred during which the river’s elevation rose dramatically, enough to flood the occupied stream banks, stranding homeless residents and requiring emergency helicopter evacuations. Neither Channelkeeper staff nor Stream Team volunteers have re‐visited these sites since these observations were recorded, but waste from many of these sites likely washed downstream onto the beach and into the ocean. ...We also believe that without an additional focus on long‐term preventative solutions, that the Responsible Parties participating in the Ventura River Trash Total Maximum Daily Load program will continue to be unable to meet mandatory limits established to protect water quality. 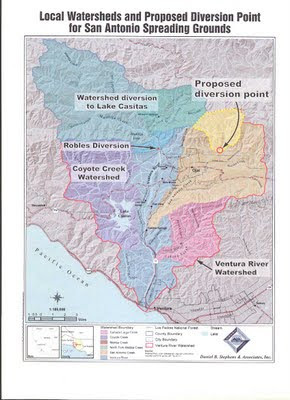 The final meeting of the Matilija Dam Fine Sediment Workgroup was held on Wednesday April 30. 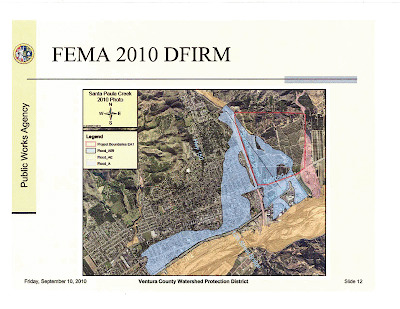 This was the fourth all-day meeting intended to "agree upon possible solutions to manage the approximately two million cubic yards of fine sediments" currently stored in the defunct reservoir. The design and analysis identified through the stakeholder process will define the immediate data gaps necessary to achieve stakeholder and regulatory clearance to move forward with both short-term notching and the long-term dam removal plan. Ventura County will pursue investigations into the feasibility of notching the dam down to the silt line, independent of the federal Corps of Engineers process. The intent is to lower the height of the dam to limit the capacity for further accumulation of sediment in the upstream reservoir area. 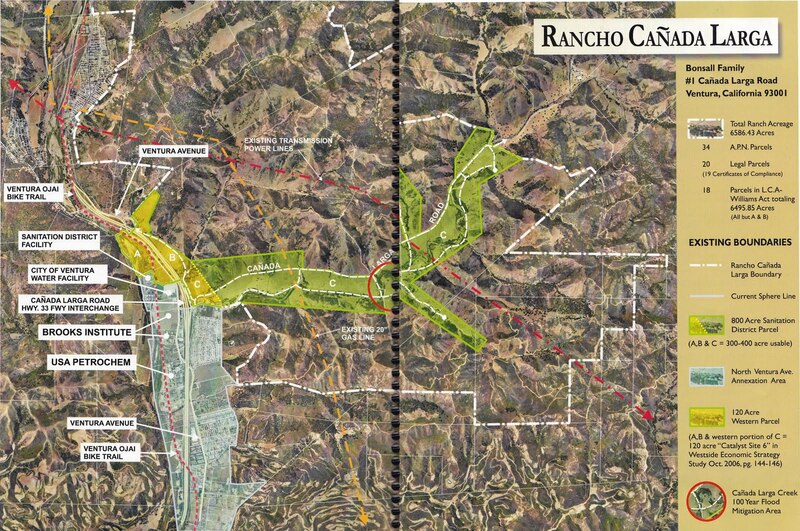 The Feasibility Study revealed that Matilija Dam has the potential to continue to trap sediment transported down Matilija Canyon from large storms. This accumulation (up to 3 million cubic yards, or an additional 50% over the estimated 6 million cubic yards) is changing the 2004 baseline conditions. And each year that the dam traps more sediment, the ultimate cost of the dam removal project increases. Because funding is scarce, and it may be many years before federal appropriations are available for the full dam removal process, it was agreed that this is a prudent 'interim' step that is acceptable to the stakeholders. The group agreed to first prioritize the Reservoir Area Design. The Feasibility Plan called for excavation of a 100-ft wide meandering stream channel through the sediment upstream of the dam. This channel would re-create a natural gradient for the riverbed, which would allow for controlled natural release of sediment from the temporary storage areas over time. 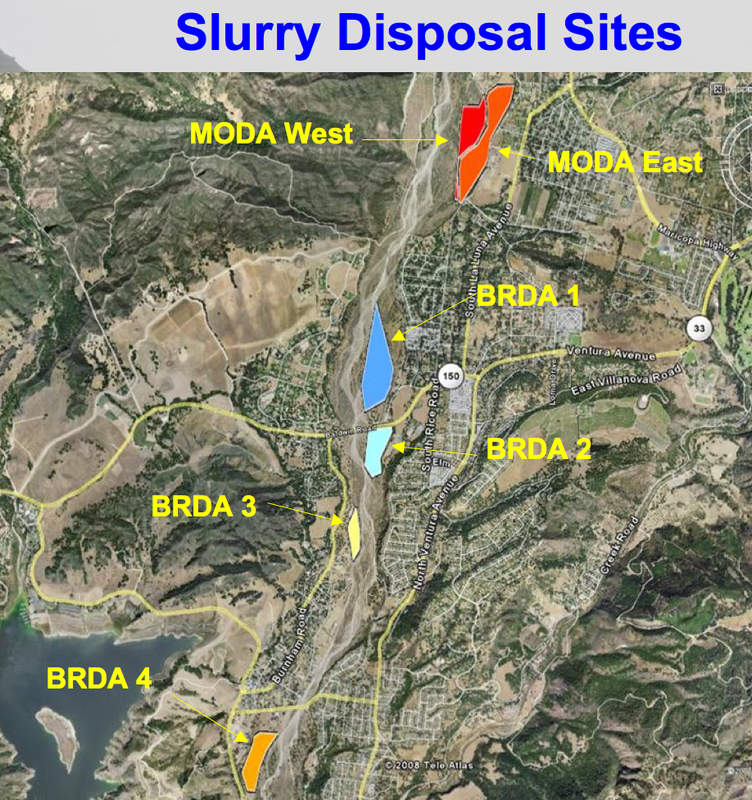 During Feasibility it was assumed that all 2 million cubic yards of fine sediment (silt and clay) would be slurried downstream - but the cost and location of the slurry disposal areas hung up the project. This design process will incorporate 'natural' sediment stabilization to the maximum extent, and minimize soil cement stream-bank hardening. 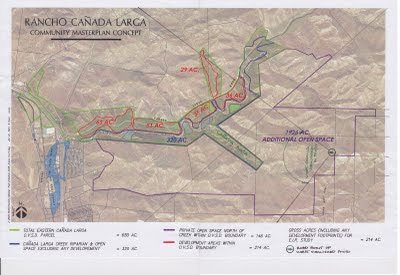 The workgroup agreed that the intent is to develop a design to re-vegetate the sediment storage areas to minimize erosion of the fine sediments that may create a chronic water quality problem downstream. It was made clear that this was not intended to re-visit the "Upstream Storage Areas" that raised objections last year. Once the Reservoir Area Design is complete, the remaining quantity of fine sediments that may need to be slurried downstream will be better defined. This will determine the area needed and drive the design for the downstream slurry disposal areas. BRDA is the 'Baldwin Road Disposal Areas' for fine sediment slurried from reservoir as identified in the Feasibility Plan. Reducing the quantity of sediment that needs to be slurried may reduce the costs that increased for this project component during final design. 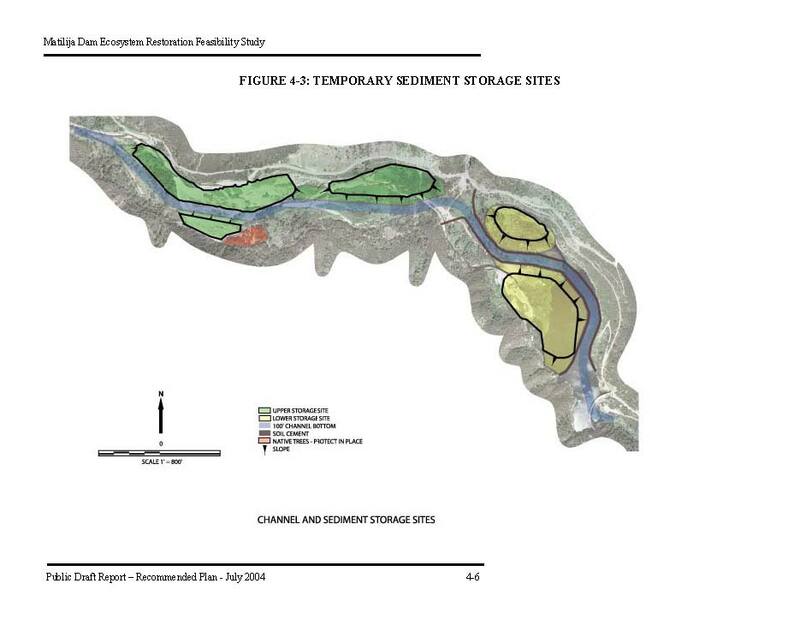 Design for these areas will include consideration of temporary storage and revegetation of more permanent areas. Although there was much discussion of the potential for utilizing Natural Transport within the project time frame, this was not identified as a priority study in the final meeting. This was largely due to the unpredictable nature of our climate and the need to prioritize limited funding for studies. The general idea was to be prepared to take advantage of a large storm event if it occurred during the 2-3 year construction operations. Studies to consider this option would include analysis of how to notch the dam and control the release of sediments, and a determination of the subsequent downstream impacts to water quality and biological resources. 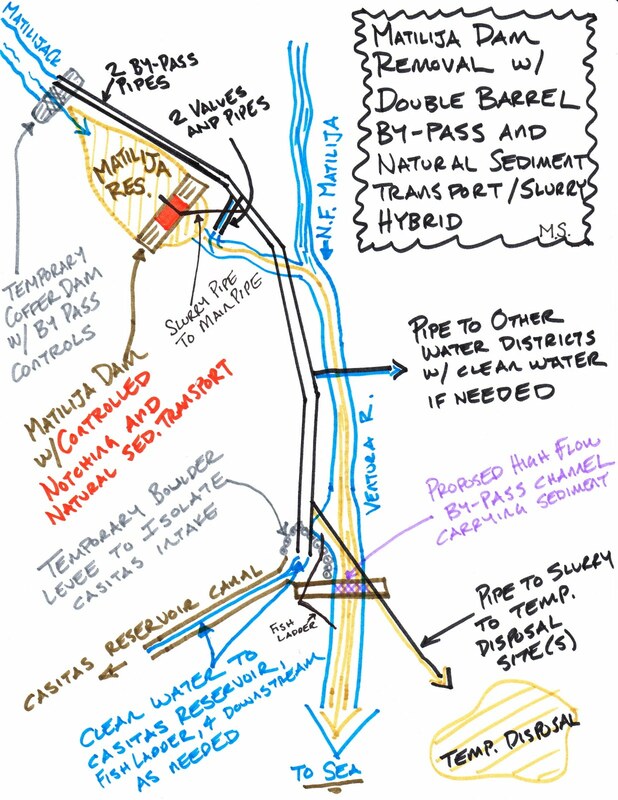 One of the potential means to mitigate any impacts may come from the "Double Barrel Bypass," as proposed by Matt Stoecker. 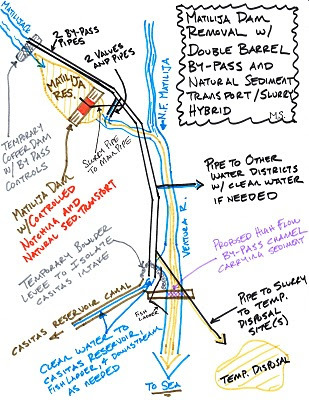 This concept would take advantage of the slurry pipelines to deliver clean water diverted from upstream of the project area directly to water users downstream. Once the technical feasibility and data gaps are complete for the three components above (Reservoir Area Design, BRDA Design, and Natural Transport), an optimized solution may be developed based upon the associated cost estimates. The final disposition of the 2 million cubic yards of fine sediment will be determined by the capacity, costs, and environmental impacts of each of these management scenarios. Outcomes Document - the Study Group will be reviewing a draft report that documents the outcome of the facilitated process sometime later this month. From the meetings over the past months it was clear that the group is supportive of the project moving forward as soon as possible. There was consensus on the outstanding issues and the priorities for next steps, but the overshadowing dampener is the clear lack of funding in the near term. With that in mind, this process cleared the way for the local agencies to move forward with a plan to notch the dam to prevent further sediment accumulation. 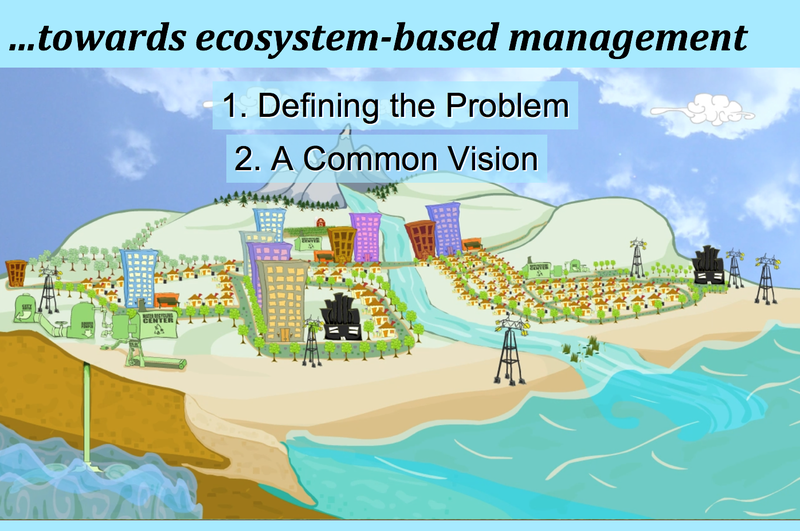 At the same time, the plan for dam removal can be refined in order to realize the ecosystem restoration objectives and reduce overall project costs in preparation for future funding opportunities. 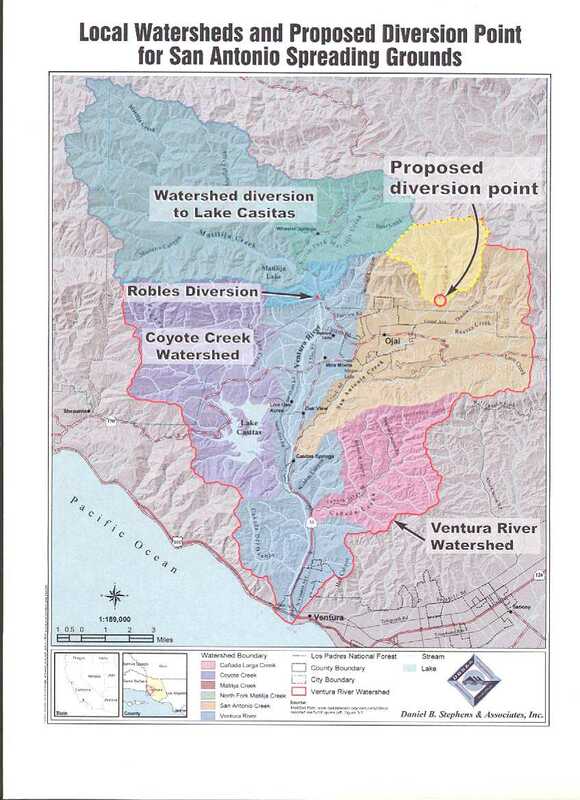 After negotiations over how to tear down Matilija Dam reached a stalemate last year, a new proposal is being examined on how to remove the massive amount of sediment built up behind the defunct dam near Ojai. Each of the stakeholders provided written comments in response to a questionnaire posed to the group. These documents were used to consolidate the issues and develop the path forward, and may be downloaded from http://matilijadam.org/.